Smoking bans are rarely healthy for gaming businesses. From France to Chile, casino operators have worried about their impact on revenue, while in the U.S. the state-by-state progress of prohibitions on tobacco use in public places has kept the debate in the limelight for years. Sheldon Adelson, when his Las Vegas Sands Corporation was considering building the so-called EuroVegas near Madrid, even demanded a relaxation of Spanish smoking laws for the later-aborted project. Until recently, casinos in many countries have enjoyed some degree of exemption from smoking bans, perhaps because of their importance to tax revenue and the fact that small numbers of properties can account for high levels of revenue and employment. In other words, if a smoking ban causes one or two or even 20 bars to go out of business in a given city or country, that’s no big deal. The loss of two casinos is potentially a much more serious one. However, with ever-tighter tobacco control an apparently unstoppable force at every level of government from municipalities to international bodies such as the World Health Organization, the question for casinos is shifting from “how can we evade the bans?“ but “how can we live with them?”. The essence of the argument is public health on the one side versus tax revenue and employment on the other (aided a little by “freedom to choose”, but it rarely swings the argument on its own) – and public health is winning. Operators in quite different areas have had similar experiences. In Chile, for example, Enjoy – the biggest casino firm by revenue – saw pretax income drop by 31 percent and visits decline by around 20 percent year-on-year after the introduction of a smoking ban. In Bulgaria, the smoking prohibition was one of the reasons commonly cited for an astonishing 50 percent drop in the country’s number of gaming machines. And the financial corporation Morgan Stanley has calculated that revenues in areas of the U.S. and Australia where full casino smoking bans were put in place declined between four percent and 20 percent in the following year. A key concept there is the “full smoking ban”. As we’ve noted, many casinos have escaped controls quite as strict as those imposed on most other businesses. For example, although as of the beginning of this year 28 U.S. states had imposed bans on smoking in all indoors public places, including bars and restaurants (which also sometimes have gentler controls), nine of those states exempted casinos from the ban. Remarkably, that’s more than allowed smoking to continue in private clubs. However, full bans are undoubtedly on the way in more and more jurisdictions, for a number of reasons. First, it’s simply not logically tenable to exclude casinos – their employees and non-smoking patrons are just as susceptible to secondhand smoke as anyone else (the principal public health reason for public place bans, as opposed to other tobacco control measures such as age limits). 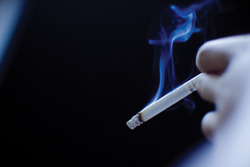 Second, the anti-tobacco lobby in most of the developed world is strong and will not give up until exemptions are eradicated: advocates of control may have been willing to tolerate exceptions in the interests of getting prohibition measures passed in the first place, but will then go back and try to vacuum them up. So what’s a casino operator faced with a smoking ban to do? First, recognise that – unless there is an inherent legal flaw in the law or the process leading to it, for example an opportunity for a challenge on constitutional grounds – it is vanishingly rare for a smoking ban, once introduced, to be overturned on the merits of the case. If efforts to influence policy-making have failed and a prohibition has come into force, it is here to stay. Second, obtain expert legal advice on the actual extent of the new rules. It’s surprisingly common to hear of all-encompassing smoking bans that actually are nothing of the sort. For example, a ban that applies to food service premises might extend to casinos if they serve drinks and snacks on the gaming floor – but not if the food and beverage operation is kept physically distinct. Of course, many bans are genuinely sweeping, too. Third, consider what can actually be lost. The world is not coming to an end, but impacts can be felt in a number of ways. You may lose customers to competitors, either land-based establishments in nearby smoke-tolerant jurisdictions, or online. This could be addressed by increasing the attractiveness of other elements of the casino offer. You may lose customer gaming time to cigarette breaks; is there any way you can make these breaks revenue-generative, for example by opening an outside bar, if smoking is allowed in the open air? Then there are are other measures that can be taken. For example, some hospitality establishments have started adding nicotine-infused dishes and drinks to their menus. Less futuristically, if local smoking bans still allow electronic cigarettes (e-cigarettes) to be used (and many, though not all, do – as our box explains) you can positively encourage their use to alleviate smokers’ cravings and even sell them, or give them away if the law permits that. Finally, too, consider what can be gained. It shouldn’t need pointing out, but is too often overlooked, that as well as frustrated smoking customers who abandon the casino, there will be smoke-detesting non-customers who might finally find it a more attractive place to visit. This is particularly the case if the newly smoke-free venue is close to other jurisdictions where smoking is still allowed. And you can – at least for now – drink to that. Barnaby Page is editorial director of ECigIntelligence, an independent publication covering the e-cigarette industry, and a former news editor of Casino International as well as editor of our sister title Euroslot. Smoking is to be banned at all Macau casino tables from October, a striking decision which may have grave consequences for casinos in the Chinese Special Administrative Region (SAR). They mostly serve customers from China, one of the world’s biggest tobacco markets and one where there has been hardly any control on smoking until very recently. A partial ban was introduced in Macau at the beginning of 2013, but it only required half the square footage of casinos’ public areas to be non-smoking, and did not even mandate physical partitions in existing premises. In response, operators simply moved their most profitable tables to the smoking areas. The new measures, however, will essentially separate smoking from gaming. Although tobacco use will still be allowed in VIP rooms, the only other areas where it will be permitted will be special smoking rooms with air extraction apparatus – probably similar to those found in some airports – and gaming activities will be prohibited in these. “We think a full ban will have negative impact on [revenue] as the speed of the game could slow down” with customers leaving tables for smoking breaks, predicted Morgan Stanley. The extension of the partial ban to the whole gaming floor may also be another indication that casinos’ most-favoured status with the Macau authorities is declining. The sector has long been the powerhouse of the SAR’s economy but the government now wants to encourage diversification, and is putting a brake on future casino development, for example. Electronic cigarettes, or e-cigarettes, have been around commercially for less than a decade but are now being taken up widely in regions such as the U.S. and Europe. For example, one study has suggested that around 20 percent of British smokers employ them (often in addition to smoking tobacco cigarettes), and although this may well be an over-estimate it nevertheless confirms that they are having a real impact on smoking patterns. The heavy investment of the big tobacco companies in developing e-cigarette products underlines that. Motivations for their use vary. Health is a key one – whether they’re being employed as a halfway house to giving up nicotine, or simply as a probably-much-safer alternative to tobacco cigarettes (e-cigs vaporise a nicotine liquid rather than burning tobacco leaf, and lack most of the toxic ingredients of conventional cigarettes; the scientific last word has yet to arrive, but there’s a broad consensus that if not entirely harmless, they are certainly much less harmful than tobacco). Another important driver of e-cigarettes’ popularity, however, is precisely the public place smoking bans which are increasingly affecting casinos. Indeed, one of the major British e-cig suppliers, Gamucci, specifically targeted the gaming sector when it launched its products, and Genting was among its first stockists. This is because not all smoking legislation includes e-cigarettes. 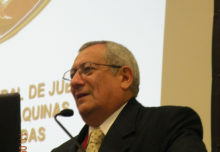 There is certainly a growing tendency to bring them into the orbit of tobacco regulation (on the – very likely to be contested – grounds that they are “tobacco products” because the nicotine liquid is ultimately extracted from tobacco plants), and bans on sale to minors, for example, are now commonplace. However, although there have been some high-profile prohibitions on use in public places, for example recently in New York and Chicago, there are also many jurisdictions which still allow e-cigarette use (or “vaping”) where smoking is banned. And recent EU and U.S. federal regulations on e-cigs do not impose any controls on place of use, leaving that open to individual states to decide. The bottom line is that while stricter bans on indoor tobacco use are almost inevitable, there is a good chance that many areas will continue to permit e-cigarettes.